Are you planning to sell goods online? 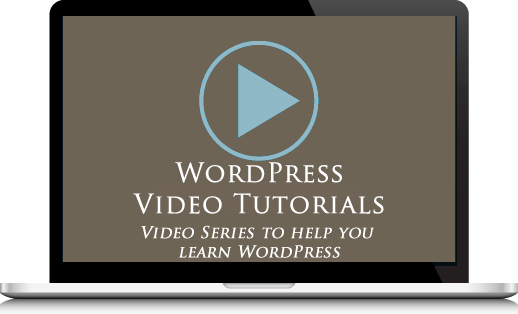 WordPress developers not only make great e-Commerce plugins available to WordPress users, but there are also many great WordPress website templates that you can choose from to easily set up and run your online store. In this article, we’ll show you where to find some of the most professionally-designed and beautiful website templates to help you set up a WP-based store online. As well as searching for a versatile theme for your online store, you will want the theme to have a clean layout and be fairly easy to edit and customize, so it can be used for any type of store you have in mind (e.g. fashion accessories, electronics store, household items, etc). 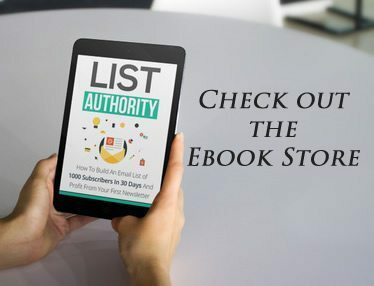 In many cases, most of the e-Commerce functionality in your online shop will come from the plugins you decide to install to power your e-Commerce site. 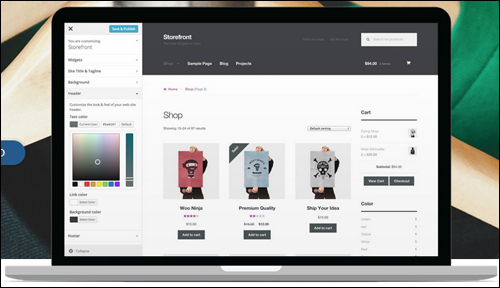 As you will see, however, a number of eCommerce themes also have built-in functionality that can enhance your store’s e-Commerce capabilities and help you provide a better user experience for your site visitors without requiring additional plugins. This can include settings that allow you to easily control your store’s theme colors without editing web code, toggle features on and off, adjust your layout, banner advertising management, optimizing product names, categories and descriptions for search engines, shortcodes and more. Most professional WordPress e-Commerce themes provide easy shopping cart setup with various payment processing merchants and solutions, allowing you to accept different forms of payment online (e.g. credit cards, PayPal, Authorize.net, etc.) and begin processing orders online sooner. A responsive theme enables websites to automatically readjust the web layout to display smoothly across different monitor sizes and screen resolutions, as well as across different platforms. If you are planning to sell products or services online, there are many unplanned things that can happen with the online shopping process itself. The last thing you want to have to go through when dealing with emails or support tickets frustrated or even angry and abusive customers is to be using an outdated theme that is creating conflicts and you can’t get someone to get the support you need. For this reason, we strongly recommend that you carefully consider using WordPress themes that offer support and regular updates when looking for a theme for your online shop. Often, you have a better chance of getting support and updates from premium theme developers, than by using a free website template. Virtue Free theme by Kadence Themes is a versatile theme for a web commerce store. 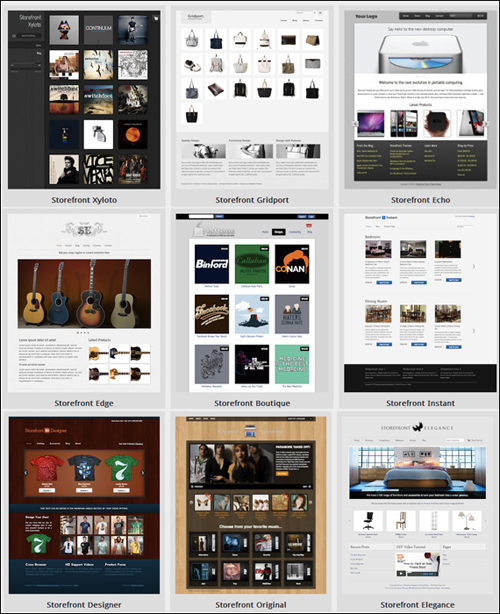 Even though there is a premium version available that offers many additional premium features like sliders, lightboxes, built-in icons, Google fonts, SEO options, unlimited sidebars, color options, pre-made skins, custom post types and shortcodes, the free theme comes already loaded with loads of great features and is also easy to customize. This theme also features a modern, clean design, is built with the latest design technologies (html5 and css3) and uses a powerful responsive framework, making it a fully responsive and mobile friendly theme suitable for e-Commerce. Additionally, Virtue Free theme is fully WooCommerce-ready (see below) and comes with everything you need to design an awesome shop online. Portfolio posts and pages (use these to showcase your products). The versatile design of this theme is ideal for any kind of e-Commerce business site, online shop, portfolio or personal site. An options panel where you can modify settings for your home layout, sliders, custom fonts, and easily modify the look of your site without requiring knowledge of technical stuff like CSS. Translation-enabled. Virtue Free comes with built-in language support for Russian, Italian and Spanish and can also be translated into any other language, allowing you to sell products to a global customer base. 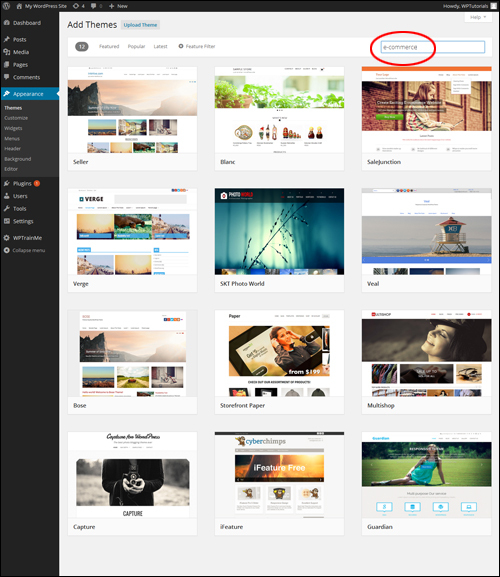 Fabthemes provides WP users with many elegant and premium quality WordPress themes for free. Fabthemes come with a built-in Options panel that lets users adjust and configure various theme settings and options. Also, theme footer files are not encrypted to help reassure you that you will be downloading and using safe theme files on your site. 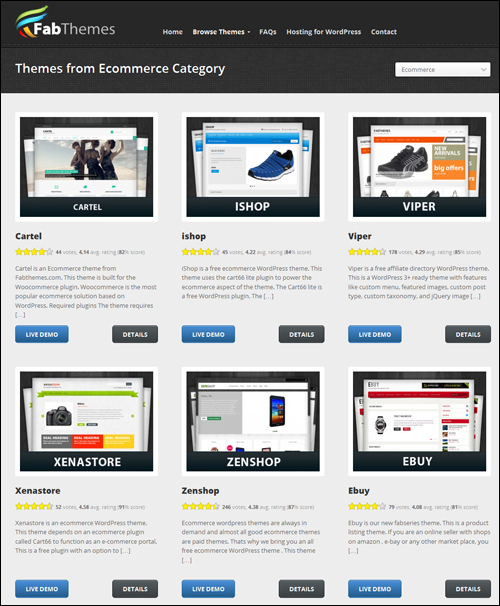 As well as free themes that suit a range of applications, Fabthemes provides themes suitable for setting up online stores. 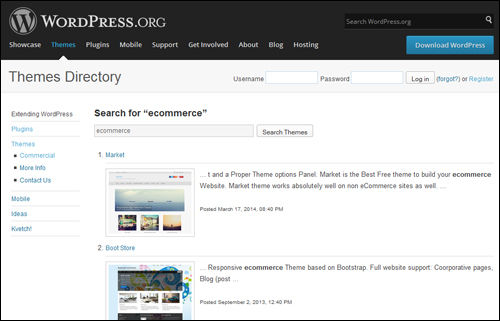 One of the best places to find free eCommerce themes for WordPress is the free directory of themes at WordPress.org. Now that you know where to search for great free eCommerce themes for WordPress, let’s take a look at premium WordPress themes for e-Commerce. Elegant Themes designs simple, beautiful and professional premium WordPress themes. 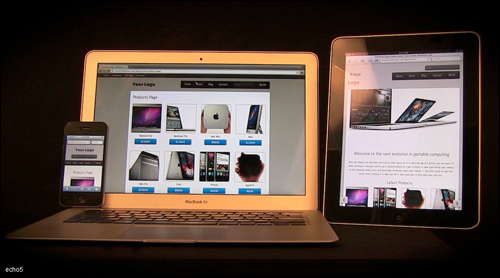 eStore offers an elegant solution for selling products online. This theme is simple to configure and integrates easily with many popular and free eCommerce plugins, such as eShop and Simple PayPal Shopping cart, plus additional shopping carts. 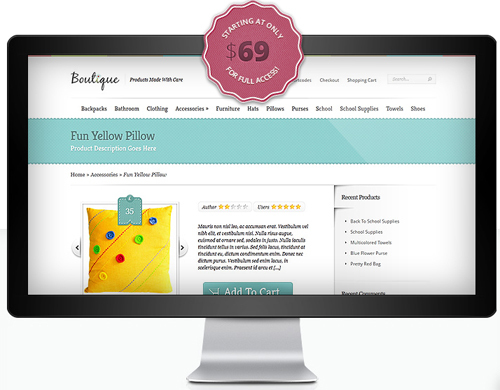 The Boutique eCommerce Theme was created to integrate with some of the most popular e-Commerce plugins available, allowing you to use your preferred solutions without any conflicts. 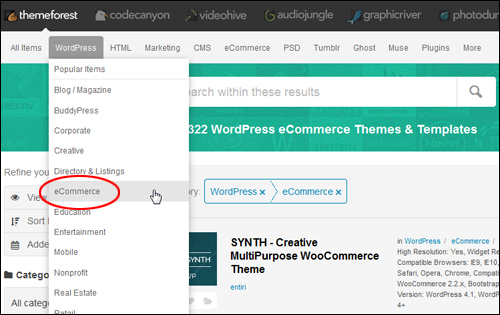 The ePanel theme options panel allows you to easily control your web site without modifying code. 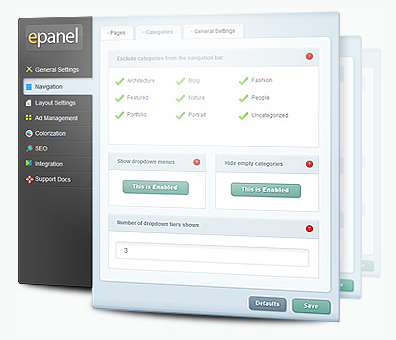 ePanel allows you to toggle theme features on and off, reconfigure your store layout at the click of a button, manage sitewide advertisements, search engine optimization for product descriptions, shortcodes and more. One of the other great benefits of choosing Elegant Themes apart from all of the beautiful themes they make available is that Elegant Themes offer a range of plans that let you access all themes in their collection for one low annual price. 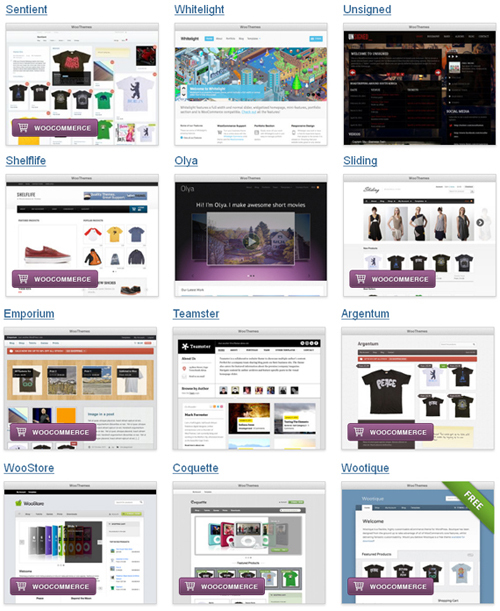 WooThemes offer many themes for WordPress-based eCommerce. WooThemes are especially designed to integrate with the WooCommerce plugin, giving WP users a fully functional e-Commerce solution. Over 300,000 websites use WooCommerce themes and plugins to sell products online and there are dozens of amazing WooThemes WP themes you can choose to build your store online. Theme Forest is an online theme marketplace where you can browse many professionally designed WordPress themes and buy quality WordPress themes starting from as low as just $5. 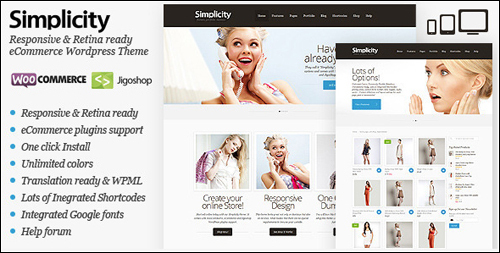 Simplicity is an elegant and flexible WP theme for eCommerce that offers responsive design, is ready for retina and supports eCommerce plugins like WooCommerce and JigoShop. 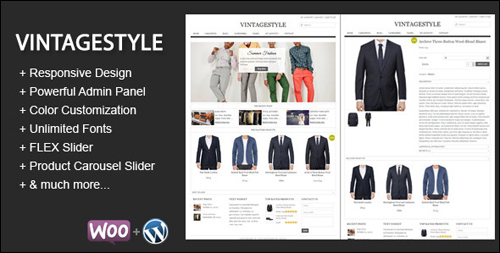 VintageStyle eCommerce theme is a clean and elegant theme for doing eCommerce with WordPress designed for corporate websites and eCommerce ventures. 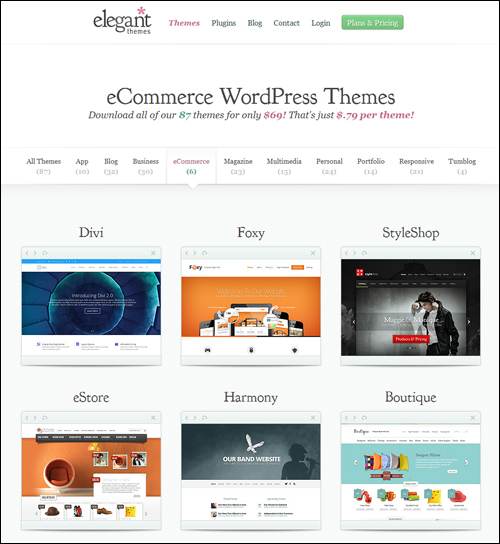 This theme can be used for small to large businesses, and online shops. Supported with custom templates, widgets, short codes, and customization options, this WordPress theme suits a range of business and e-Commerce projects. 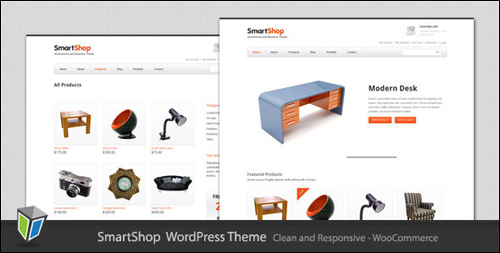 SmartShop is a clean and responsive WP theme for e-Commerce and shopping cart webstores. 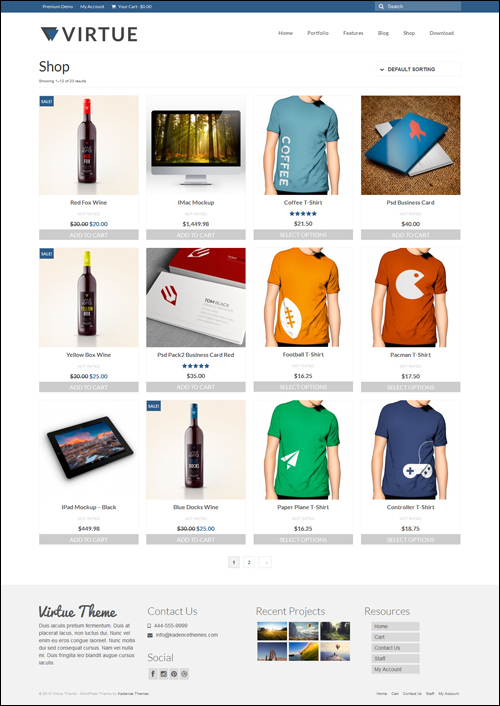 This web template is fully compatible with the WooCommerce System. 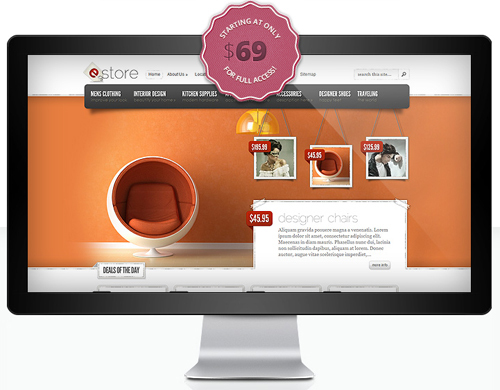 JigoShop is an eCommerce plugin. 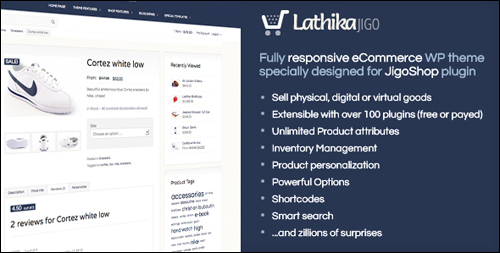 The Lathika theme comes equipped with detailed graphical order and stock reporting integrated to WP Admin, built-in shortcodes and ready-made widgets, stock manager, shipping calculator and loads of other features, making it an ideal theme for selling all kinds of digital, physical or virtual products. 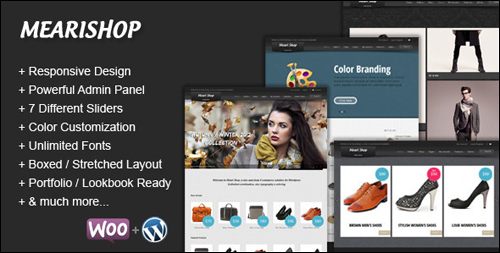 MeariShop is a clean and flexible theme for doing eCommerce with WordPress that utilizes the functionality of WooCommerce plugins to create a versatile WordPress-powered online shop with unlimited layout options and unlimited skins. MeariShop is powered by the advanced Hana Panel, which provides loads of options to help you manage and modify any aspect of the theme – it is ideal for both beginners with no coding knowledge and web developers. As you can see, there is absolutely no reason why your WordPress-based online shop shouldn’t provide your business with the same ability to sell products online as more expensive e-Commerce solutions and look beautiful too! 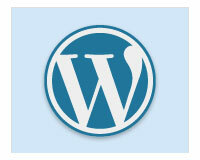 We hope the above has given you many avenues to explore to consider setting up a WordPress-based store online. 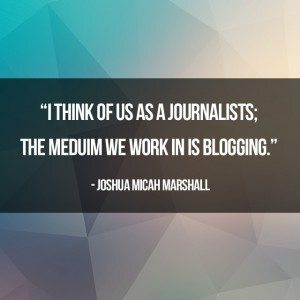 Have we helped you become a better WordPress user? Feel free to add your thoughts below and share this article with your friends.